Lt. Colonel Purohit will be placed under same restrictionsas an officer in "open arrest" and his movement will be confined to his residential accommodation and camp of his unit. 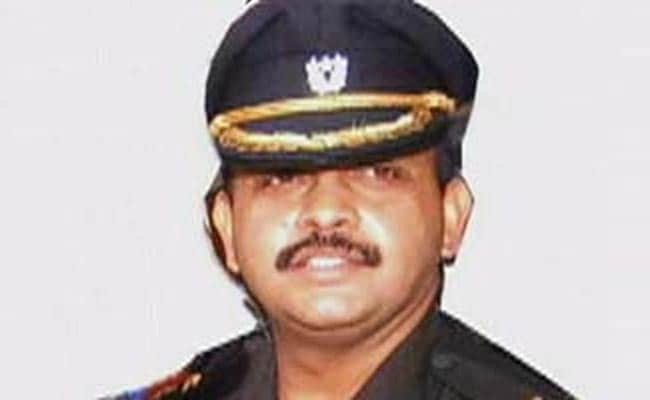 New Delhi: Lt. Col. Shrikant Prasad Purohit, who was granted bail by the Supreme Court today in the 2008 Malegaon blast case, will have to report back to his unit after walking out of jail and the Army will review his suspension from service after examining the court order, army sources said today. They said Lt. Colonel Purohit will be placed under same restrictions as an officer in "open arrest" and his movement will be confined to his residential accommodation and camp of his unit. An officer is placed under open arrest when court martial proceedings are initiated against him. The Army had initiated a Court of Inquiry against Lt. Colonel Purohit in April 2009. Lt. Colonel Purohit spent almost nine years in jail for his alleged role in the Malegaon blast case. Granting him bail, the top court observed that there were contradictions in the charge sheets filed by different investigating agencies. The army sources said the Army headquarters will study the Supreme Court's order granting him bail and accordingly a call will be taken on whether to revoke his suspension from service. They said Lt. Colonel Purohit will have to wear uniform while being in his unit but he may be permitted to wear plain clothes as well. Lt. Colonel Purohit, who was posted with an unit under Southern Command and was an officer from intelligence corp, was suspended from service soon after he was arrested in connection with the Malegaon blast case in in late 2008. After the report of the Court of Inquiry (CoI), Colonel Purohit's salary and allowances were restricted to 25 per cent of his total pay but it was increased to 75 per cent following an order by the Armed Forces Tribunal (AFT), the sources said. Colonel Purohit had approached the AFT after the cut in his salary following report of the CoI. "He will have to report back to his unit after getting out of jail. He can be attached to any other unit after that," said a source. According to defence regulation service rules, while under suspension, an officer will be placed under the same restrictions as an officer in open arrest. Six people were killed in the blast on September 29, 2008, at Malegaon, a communally-sensitive textile town in Nasik district of north Maharashtra. The top court set aside the April 25 verdict of the Bombay High Court denying bail to Colonel Purohit, but imposed certain restrictions while granting him relief after he spent eight years and eight months in jail.